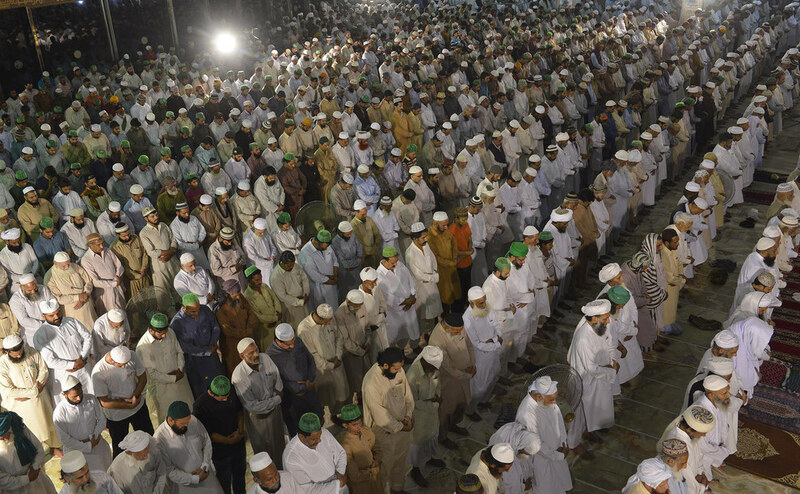 Pakistani Muslims perform a special “Taraweeh” evening prayer on the first day of Ramadan at a mosque in Lahore. 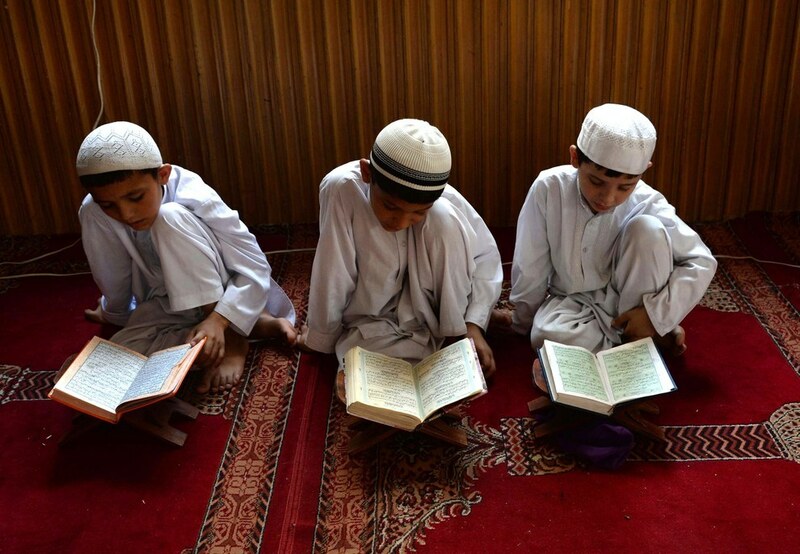 Afghan children study the Quran during first day of the month of Ramadan at a mosque in Jalalabad. 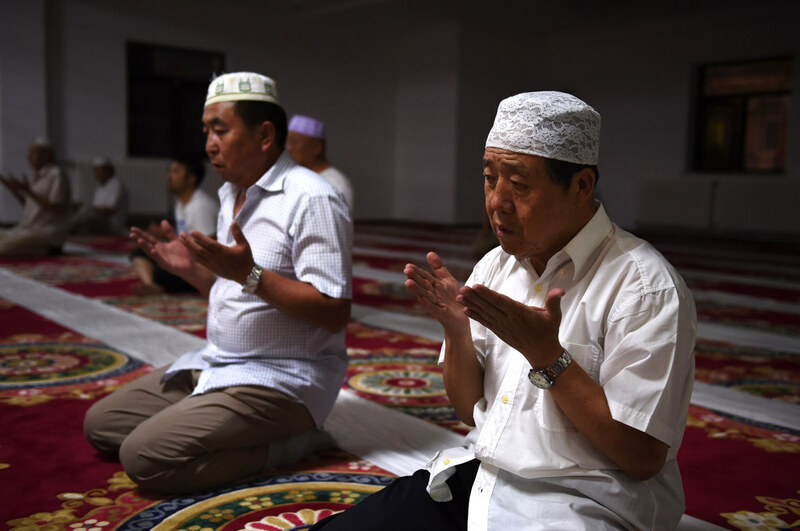 A Malaysian Muslim arrives to offer prayers on the first Friday of the holy Islamic month of Ramadan in Kuala Lumpur. 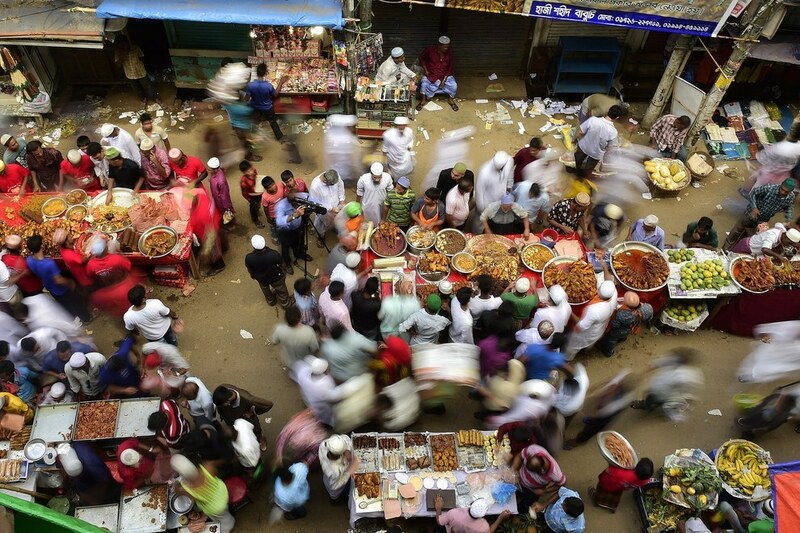 Bangladeshi street vendors prepare Iftar food for breaking the daytime fast on the first day of Ramadan, the holy fasting month of Islam, at a traditional bazaar in the old part of Dhaka. 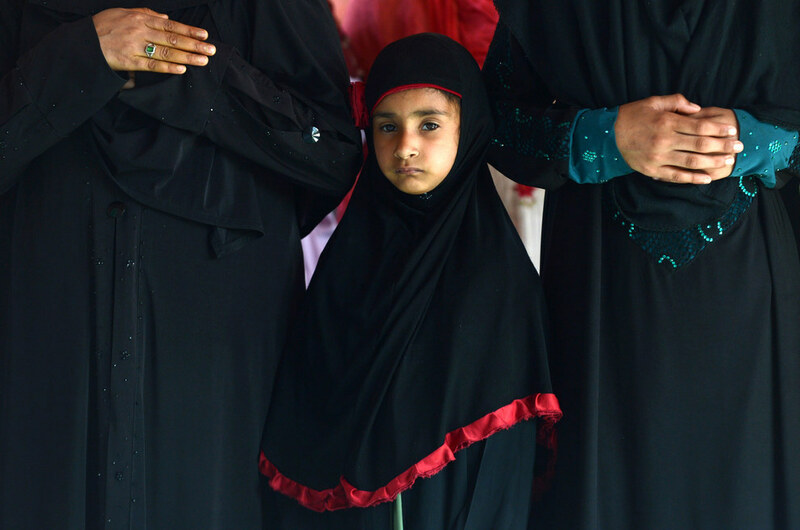 Kashmiri Muslim women are accompanied by a child as they pray during the first day of the month of Ramadan, at the Shah-i-Hamdaan shrine in Srinagar. 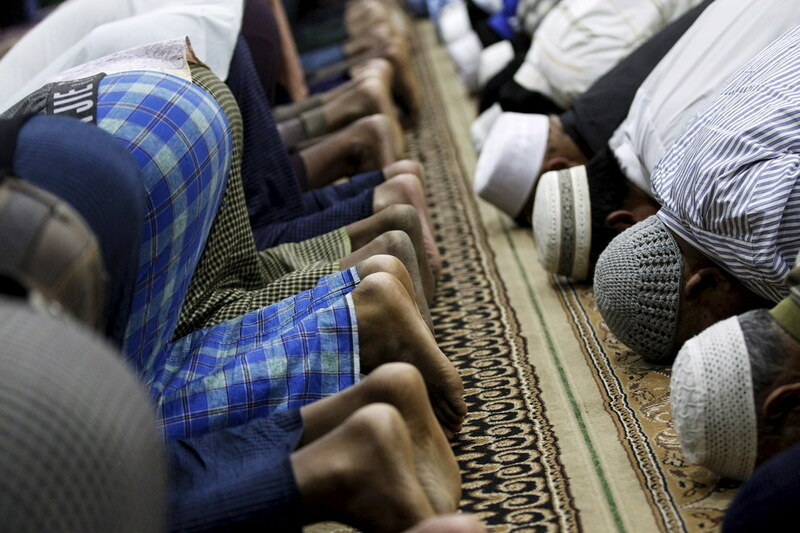 Filipino Muslims take part in prayers at the Golden Mosque in Manila. 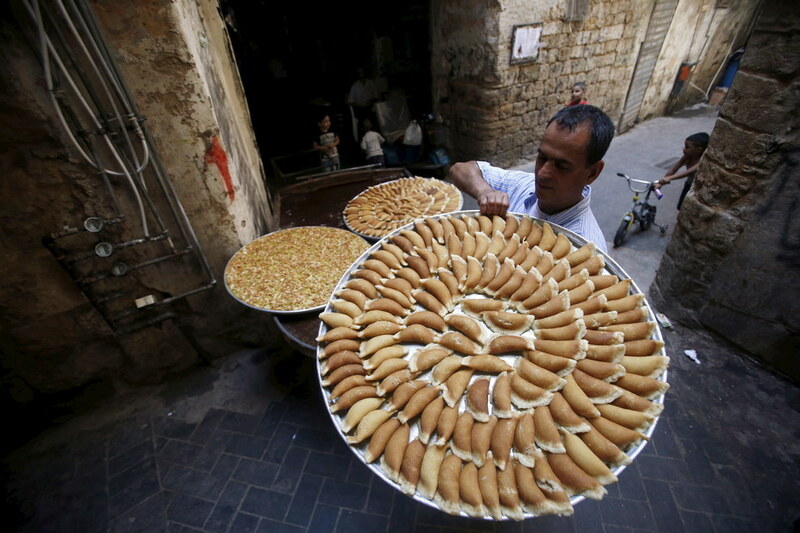 A vendor carries traditional sweets called ‘Qatayef’ during the Muslim fasting month of Ramadan in Sidon’s Old City in southern Lebanon. Blind and visually impaired Palestinian girls read the Braille version of the Qur’an during a Qur’an memorization class at the main center of Dar al-Quran Society, on the first day of the holy month of Ramadan in Gaza City. 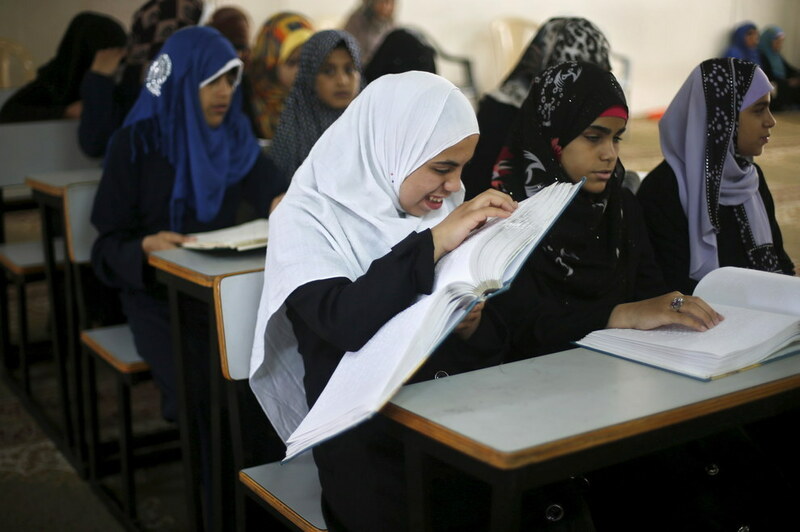 Thousands of Palestinians, among them blind and visually impaired students, are taking lessons which are sponsored by the Muslim organization Dar al-Quran Society. 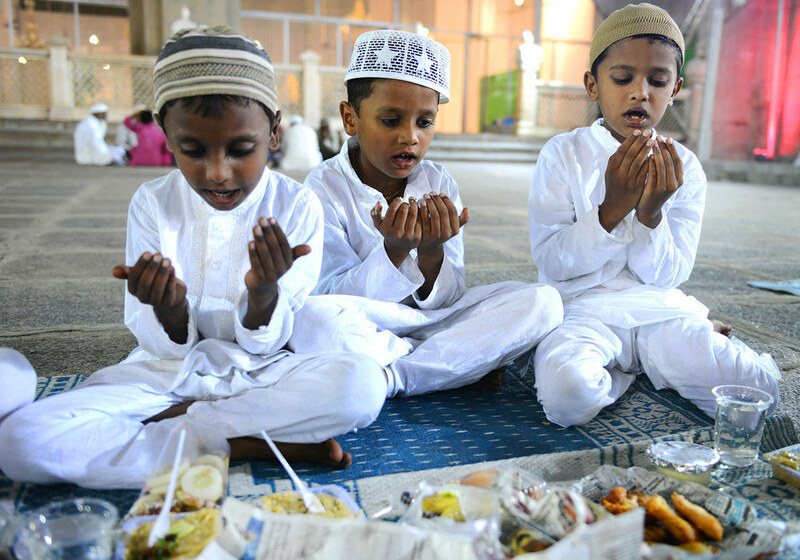 The society teaches people the right recitation of the Muslim holy book and helps them memorize the whole Qur’an, directors in the organization said. 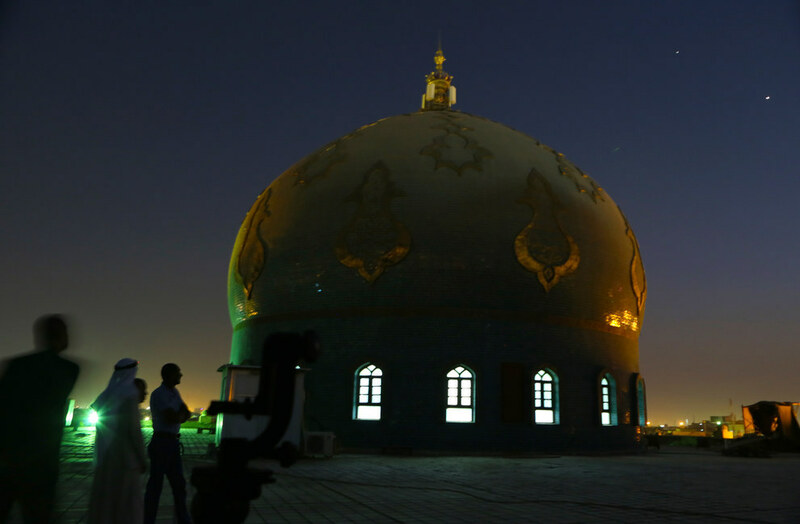 Iraqi Muslim men gather, on the roof of Imam Ali Mosque, waiting to see the crescent moon marking the beginning of Ramadan, at sunset in Basra, Iraq. 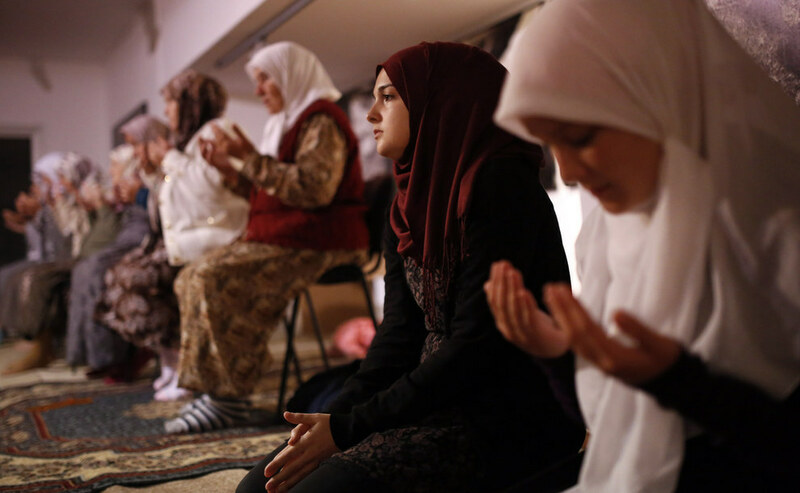 Bosnian Muslims offer a prayer during late night prayer for upcoming holy month of Ramadan, inside memorial room for Srebrenica massacre victims, at the memorial center Potocari, northeast of the Bosnian capital of Sarajevo. Family members of the Srebrenica victims killed in July, 1995, will mark the first night of Ramadan at the memorial center Potocari, in front of the graves of killed Muslims from this small Bosnian town. 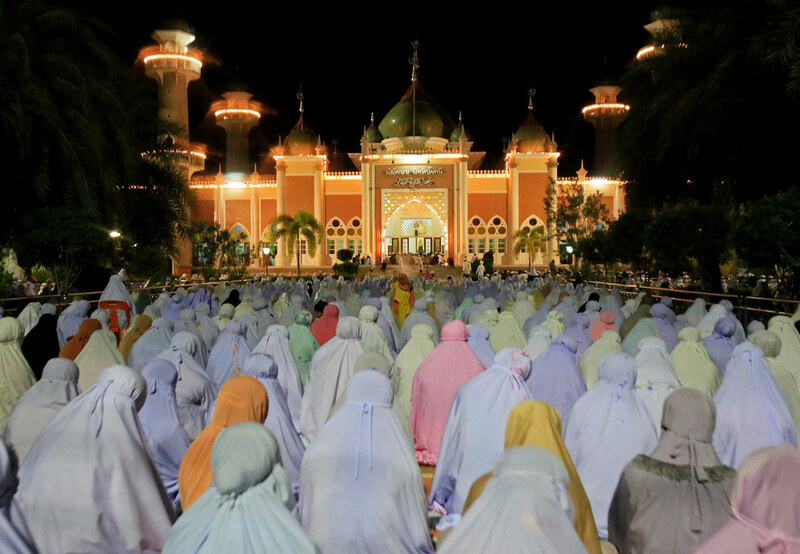 Muslims pray on the first day of Ramadan at a mosque in Taunggyi capital city of Shan State, Myanmar. 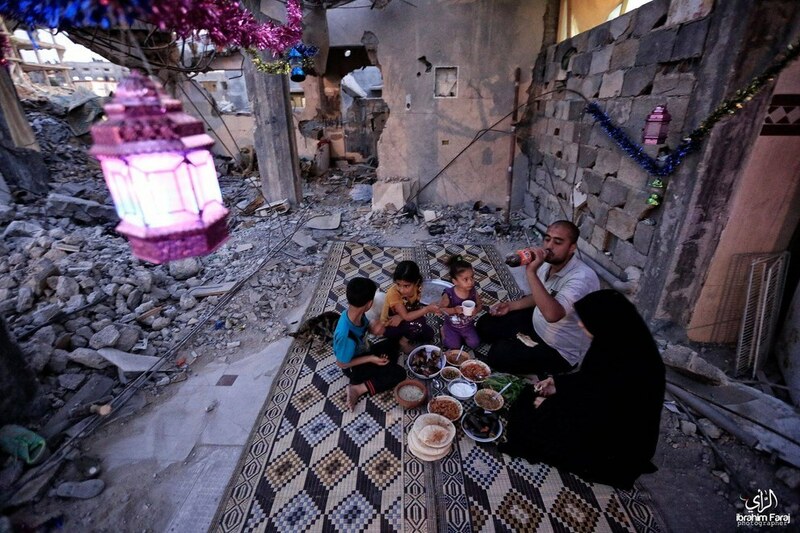 A family shares in a pre-dawn Suhoor meal in Gaza City. 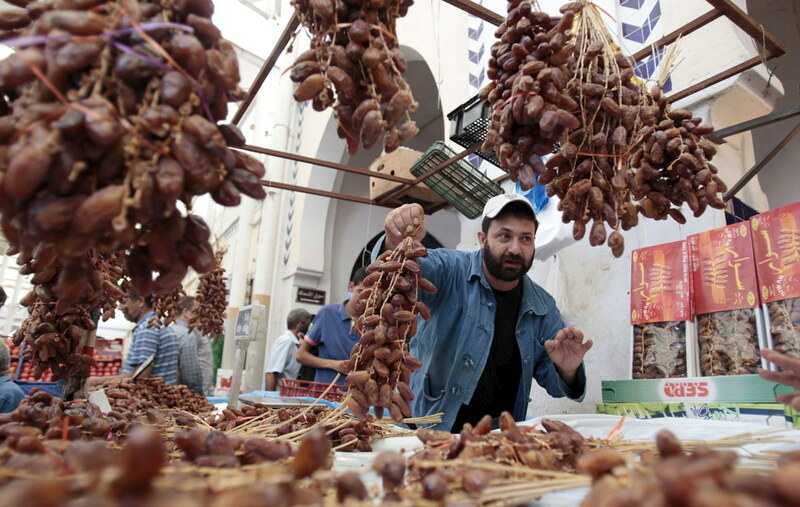 A vendor displays his dates on the first day of the Muslim holy fasting month of Ramadan, in a market downtown in Tunis, Tunisia. 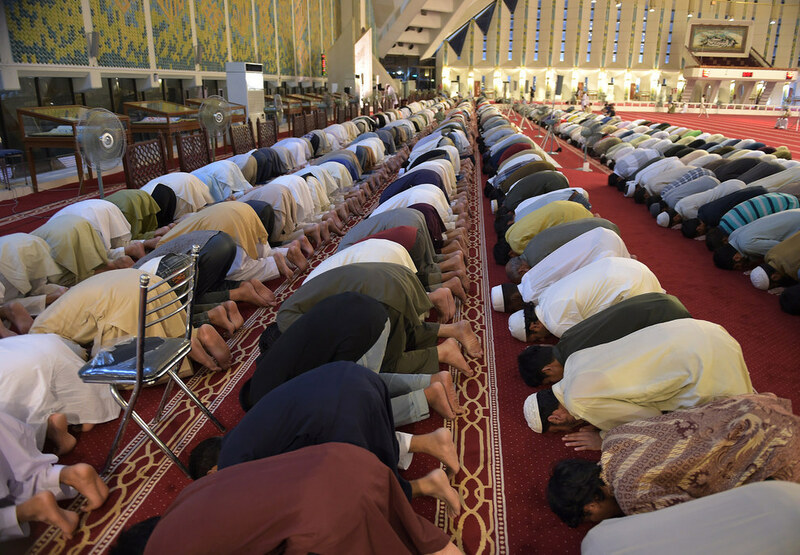 Pakistani Muslims perform a special “Taraweeh” evening prayer on the first day of Ramadan at the grand Faisal Mosque in Islamabad. 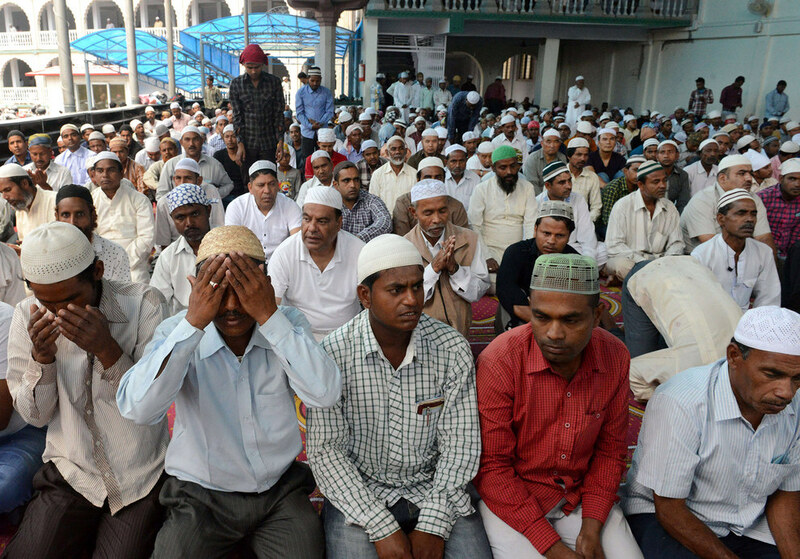 Nepalese Muslims offer the first Friday prayers of Ramadan at The Kashmiri Mosque in Kathmandu. 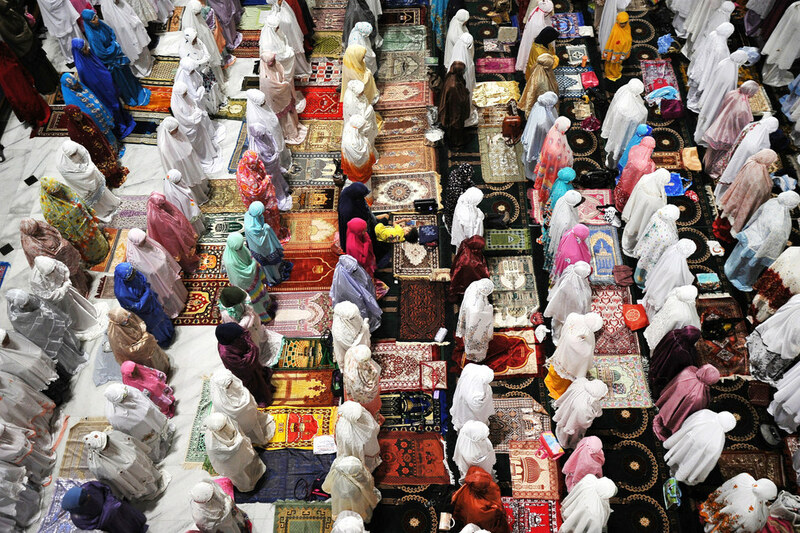 People read the Qur’an at a mosque during the first day of Ramadan in Cairo, Egypt. Israeli diplomats in Dublin have drawn criticism after staff used their official Twitter feed to publish a series of doctored images which included a hijab-clad Mona Lisa cradling an enormous rocket. The pictures – which appeared to have been posted today but were later removed – featured images relating to different European countries and bearing the slogan: “Israel is the last frontier of the free world”. One of the images showed Michelangelo’s statue of David wearing an Arab headscarf and with an explosive belt wrapped round its torso. Accompanying the slogan were the words “Israel now Italy next”. 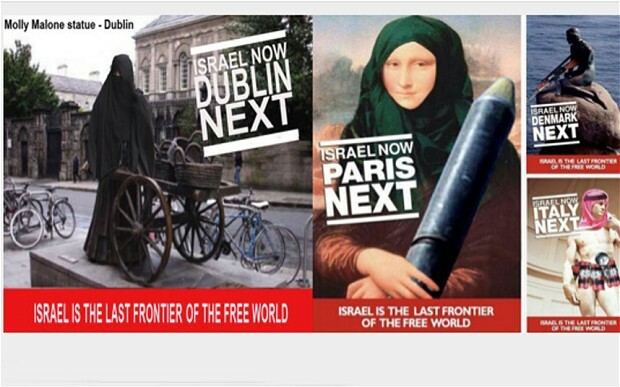 Another, addressed to Ireland, showed Dublin’s famous Molly Malone statue covered by a full-length black niqab, while a fourth featured what appears to be an armed militant perched on a seaside rock and bearing the words: “Israel now Denmark next”. Keep in mind Israelis think being a Palestinian anywhere in the vicinity of Israel is an existential threat worthy of genocide and so it’s only natural to conclude as they no doubt have that the same thing is acceptable for Muslims. 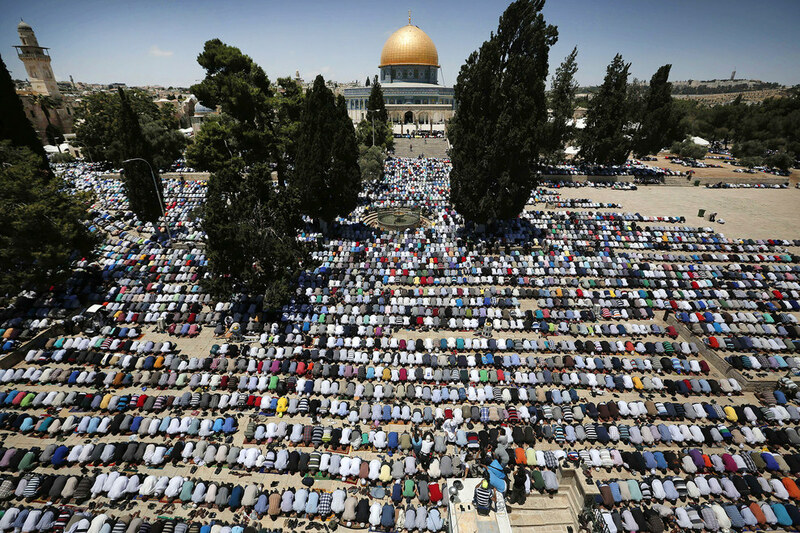 My question for you, reader, is after Palestinians, and Muslims, then who’s next? 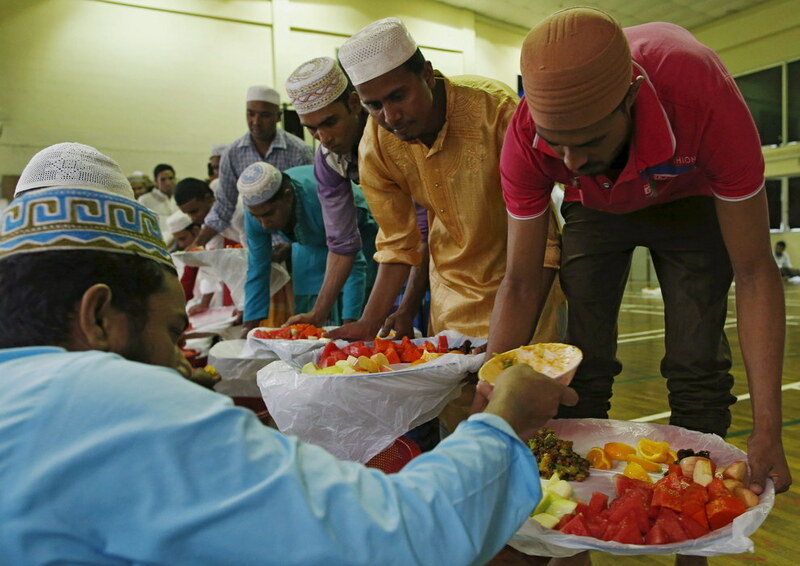 In the UK Muslims are better neighbors to have than many Christians who are deemed “militant”! All we hear on this side of the pond is how Europe is being threatened by Muslim hordes hell bent on the destruction of Western society. 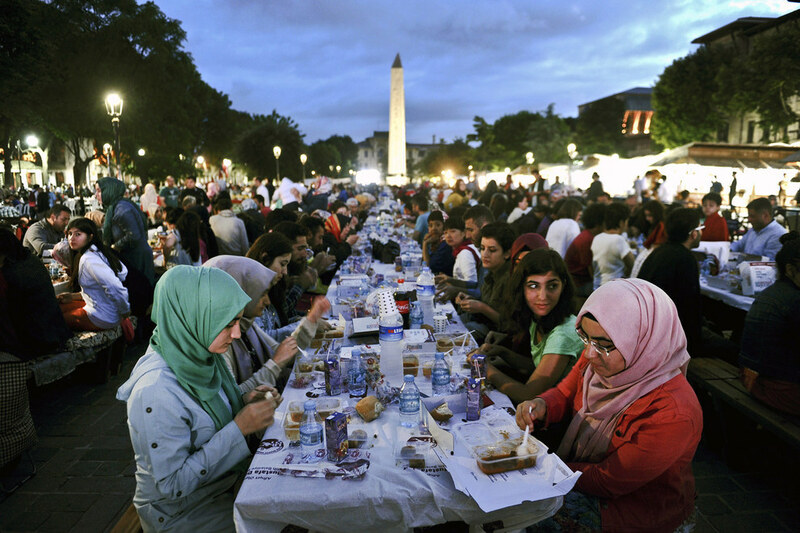 It seems, however that is Muslims who are preserving and honoring Western society more so than their Christian counterparts, if this article is to be believed. “I think there’s an awful lot of noise about the Church being persecuted but there is a more real issue that the conventional churches face that the people who are really driving their revival and success believe in an old time religion which in my view is incompatible with a modern, multi-ethnic, multicultural society. 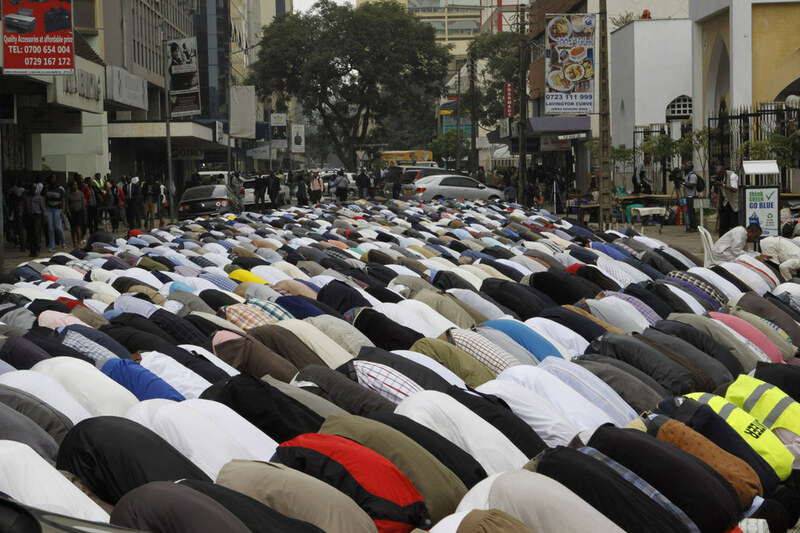 Muslim communities in this country are doing their damnedest to try to come to terms with their neighbours to try to integrate and they’re doing their best to try to develop an idea of Islam that is compatible with living in a modern liberal democracy. 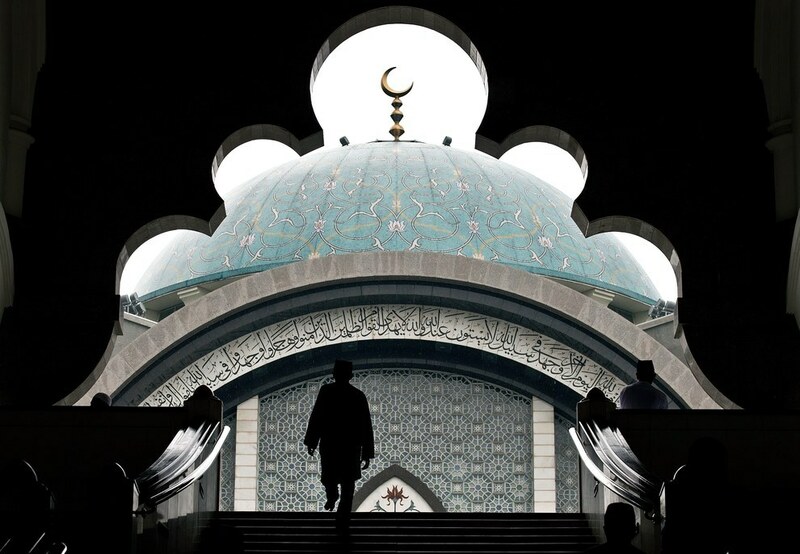 The most likely victim of actual religious discrimination in British society is a Muslim but the person who is most likely to feel slighted because of their religion is an evangelical Christian. What if this were news about a Muslim? Loonwatch. com does an excellent job pointing out the hypocritical nature of today’s news when it comes to reporting on issues of national and international importance and any reader of Miscellany101, should visit that site regularly to get the latest example of a press obsessed with Islamic/Muslim violence that at the same time turns a blind eye and deaf ear to acts of violence committed by almost everyone else. I must admit, this first news story I got from that site here, where the press is excoriated by Loonwatch, and justifiably so, for the double standard articles like this receive from media intent on magnifying, mentioning, impugning and declaring guilty, every person mentioned on its pages or in its airwaves with an Arabic sounding name. Along comes the largest cache of arms found on a private citizen’s property in the history of America and there is not one inference made to any group except al-Qaida, even when the perpetrator of the crime is a Serbian national bank robber! The lengths the press goes to identify anyone anywhere with anything to do with Islam and terror, no matter how tangential the link is mental ambidexterity no contortionist could master. George Djura Jakubec had PETN, a plastic explosive that’s been around since at least the second world war, used by people all over the world and even in some cases medicinally, but that fact is forgotten, or conveniently reduced to only one group of people who use it, that being al-Qaida. Of course no one has called for him to be imprisoned in Guantanamo Bay or waterboarded to see if he belongs to an even larger plot to terrorize America, because he’s not Muslim, and therefore couldn’t possibly be a terrorist. We’ve even heard the common refrain, ‘he’s mentally unstable’ be the reason why he’s amassed such a large quantity of explosives in his home since only Muslims intentionally commit acts of terrorism, and everyone else just does so because of some kind of diminished mental capacity, and are therefore not responsible. The other bit of news I found extraordinary is this. We’ve read about the importance of secularism in Europe but this is going too far. 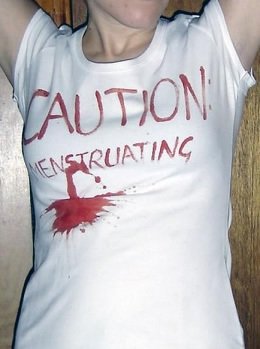 Menstruating women being discriminated against in the workplace by their employers is enough to make any recoil in disgust in the 21st century, but evidently not enough for some people in Norway. That this is being done by more than one employer yet hasn’t made its way in banner headlines across every newspaper in the world, prompting all the world’s super powers to enact sanctions against Norway and anything it produces because of the terrible way it treats its female employers; that there aren’t plane loads of soldiers sitting on tarmacs on every US military base, ready to take off at a second’s notice to invade and overthrow the Norwegian government and liberate their working women (one of the excuses made for the invasion of Afghanistan); that a boycott hasn’t been called against Norway’s Nokia telecommunications, can only mean that some people, classes, ethnicities are allowed to denigrate and oppress their people (are you listening France) in a way that others can’t. Political correctness does exist among members of the media and it’s a edge that cuts both ways. The right isn’t the only group that can claim it cuts them and Muslims are as much its victim as its beneficiary. 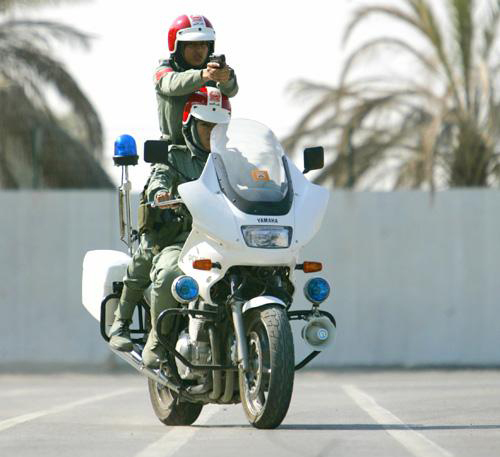 While faux pas French feminist criticize the candidacy of one of their own because of an article of clothing, America’s other allies, Pakistan and the United Arab Emirates have figured out how to make the best use of all of their human resources, men and women, those who wear a scarf and those who don’t but still want to serve their country. Why a country would want to deny participation of one half of its citizens because of a scarf or a religious belief, even while the very same people want to serve, participate, protect is a study in racism and a mindset that takes people backwards in time we decided was counterproductive or worse. No forward thinking country should countenance such a philosophy neither should a country support one that does. A new America would do well to cast its lot with the likes of Pakistan and the UAE and shun the homophobia that is overtaking Europe, and countries like France and Denmark and clearly and emphatically make a statement that the religious rights of a citizen of a country and that’s citizen’s desire to serve his or her country are the basis of solid, long lasting relationships America will honor. Anything less than that is contributing more to the problem than to the solution. 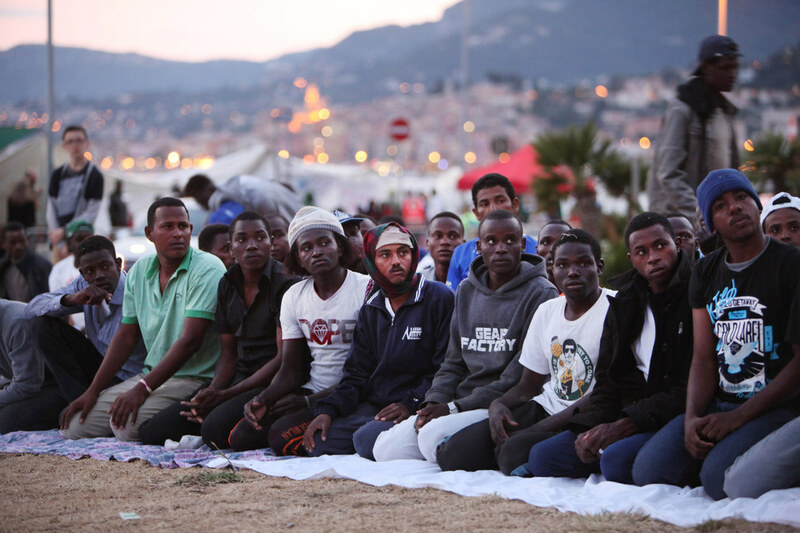 France’s Fascism Rears it’s Ugly Head Again! It is with great sadness that I watch … my life reduced to my headscarf. It is with great sadness that I hear that my personal beliefs are a danger to others while I advocate friendship, respect, tolerance, solidarity and equality for all human beings. It would appear based on what she says above, Moussaid is more French than any of her detractors. Touche! Warnings usually accompany threats, as in ‘if you don’t stop doing this I’m going to do something in response’, so what is Israel’s warning of consequence? Israel warned the European Union on Thursday to tone down its criticism of the new Israeli government or risk forfeiting the bloc’s role as broker in Mideast peace efforts. So my question is what is it Israel can threaten the European Union with? Israeli military threats against Europe have been made before and with rabid Israeli politicians now in power, the implication of Israel’s warning is probably not lost on Europeans. Also, Israel has never accepted the EU’s role as a peace broker, the latest Gaza offensive, is proof of that when the Israelis bombed, strafed and blocked aid supplies to Palestinians in Gaza which came from Europe. What is really at stake here is Israeli access to European markets. The Israelis want to ply their trade of espionage, industrial, political and military and they can’t do that now as easily as they can in the US. Evidently old habits die hard in the relations between Europeans and Jews.